Tom Heitz continued,” My great regret is that this effort is made so late in Dr. Seymour’s career. Dr. Seymour has been a beacon and an inspiration to many scholars and researchers in and out of the academic world for many years. To many he was an almost mythical figure, whose legendary writings about our National Pastime formed the bedrock upon which later scholarship was fashioned. At the time Tom Heitz wrote this letter, he had no idea, despite my constant presence with Seymour at the Library for research, of the large contribution to the Seymour books that I had made, a contribution that, when he and SABR became aware of it, caused them to change the proposed name of the Award to The Harold and Dorothy Seymour Award. Ironically, Tom Heitz’s formal proposal to the SABR Board of Directors for establishment of the award is dated the very day of Seymour’s passing, September 25, 1992. The award (said the proposal) was to be named in honor of Dr. Harold and Dorothy Seymour, “whose lifetime contributions to baseball’s historical scholarship are unparalleled.” A bronze medallion would be struck, with a suitable baseball design, to be awarded annually “in order to encourage baseball historians, both professional and amateur, to attain the highest standards of historical scholarship, as exemplified by the published works of Dr. Harold Seymour, and to honor those whose works reflect these standards.” Recipients of the medal would be honored at annual SABR meetings and invited to make a special presentation of their work. As Tom Heitz had predicted, it took a year for the proposal to move into the phase of preparing the medallion itself. Morris Eckhouse, President of SABR in 1993, enlisted the talents of Cleveland illustrator Jeff Suntala, who was also a SABR member, to design the medal. I was asked to send photos of both of us in profile, answer questions about Seymour’s life and participation in the game, and comment on the artist’s initial sketches. After I approved the final design, Morris Eckhouse assigned the preparation of the medal to the Emblem & Badge Company of Providence, Rhode Island. The Seymour Medal was first awarded in June of 1996 at SABR’s annual convention in Kansas City, Missouri. In a formal ceremony, SABR presented me with the first Seymour Medal: a heavy bronze object three-and-a-half inches in circumference, gleaming as it catches the light. The obverse side shows our profiles and names along with a background sketch of a baseball diamond. On the reverse is SABR’s name and logo, with crossed bats and a glove holding a baseball, on an appropriate background: an open book. In the same ceremony in which I received my own medal, SABR also announced the selection of the first book of baseball history worthy of winning the Seymour Award: Professor David Zang’s biography, Fleet Walker’s Divided Heart, published by the University of Nebraska Press. 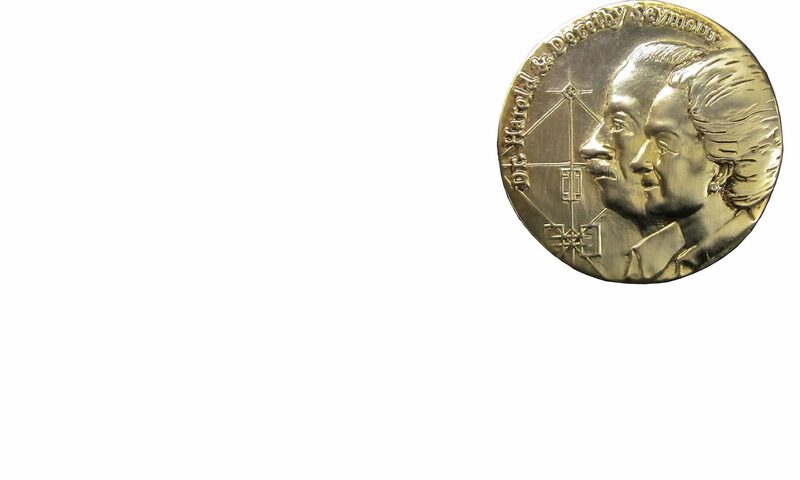 Since Zang was unable to attend the meeting, his publisher accepted his medal for him. The Seymour Medal is presented in a beautiful hinged wooden box. Inside is a wide ribbon used for lifting the medal out of its nest. I keep my medal on display in my office, mounted on a wooden picture stand. I’m very proud of owning it. Reprinted below are SABR’s rules for awarding the Seymour Medal. The Seymour Medal, named in honor of Dr. and Mrs. Harold Seymour, honors the best book of baseball history or biography published during the preceding calendar year. Not more than one Seymour Medal shall be given each year. If, in the judgment of the awards committee, a worthy candidate cannot be found, no medal shall be awarded. The first three Medals were awarded at the SABR National Convention. In 1999, SABR held the first annual Seymour Medal Conference at Cleveland State University in conjunction with the awarding of the Medal. The Seymour Medal recognizes the author(s) of the best book of baseball history or biography first published during the preceding calendar year. To be considered for the medal, a work must be the product of original research or analysis. The winning book shall significantly advance our knowledge of baseball and shall be characterized by understanding, factual accuracy, profound insight and distinguished writing. Single volumes of multi-volume works are eligible. Multi-volume works as a whole are also eligible if at least one of the volumes was published during the preceding calendar year and if the author has not received a medal for any of the works separately. No more than one Seymour Medal shall be given each year. If, in the judgment of the award committee, a worthy candidate cannot be found, the medal shall not be awarded. There is no limit to the number of times an individual may win the award, but it must be awarded each time for a wholly new work. The winner of the Seymour Medal will receive a bronze medal honoring baseball historians Harold and Dorothy Seymour. 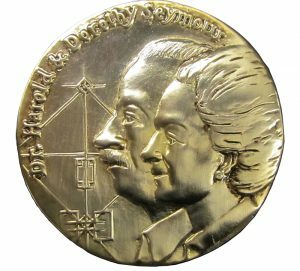 The Seymour Medal award committee shall consist of three persons, appointed by the President, who shall serve three-year terms, staggered so that one person rotates off the committee each year. Before the end of April each year, and as necessary throughout the year, the Executive Director will write to all publishers known for issuing books on baseball history and biography, and to all publishers known from advertisement to have published a book on baseball history and biography and to publishers of any other books of baseball history and biography regarded by any member of the award committee as worthy of consideration. The correspondence will include: (1) a one-page announcement of the Seymour Medal competition for the year, which sets forth criteria and invites submissions; (2) a cover letter urging submissions and asking that review copies of the books be sent to each of the award committee members, whose addresses are provided. Members of the award committee shall assist the Executive Director by recommending books for review. Recommendations by other SABR members will be welcomed; they will be reviewed by the award committee, and if any committee member determines that the book qualifies for medal competition, it shall be added to the list of books to be judged, and review copies shall be requested. Reminder letters will be sent to publishers of books deemed important by any committee member but not submitted. Members of the Seymour Medal award committee shall confer among themselves to evaluate the books submitted for the competition, and shall select at least three books as finalists, from which the medal winner will be chosen. At least six weeks before the medal is to be presented, the committee will confer in person or via a conference call set up by the SABR office, to select the medal winner. The Executive Director will promptly send letters of congratulation to (1) the medal winning author (s) and (2) the publisher of the winning book, and will (3) send letters to all other participating publishers, thanking them for their interest and support, and announcing the winning author and book.